In Sun Bistro, little sand cooks and bakers can bake, decorate and serve to their hearts’ desire. This ample set supplies all they need. 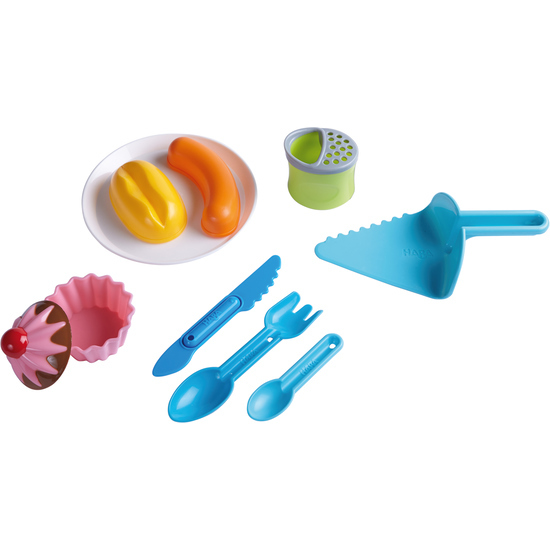 Contents: 1 sausage cutter, 1 roll shaper, 1 plate, 1 sand shaker, 1 cake server, 1 knife, 1 fork-spoon combo, 1 teaspoon, 1 cupcake form.